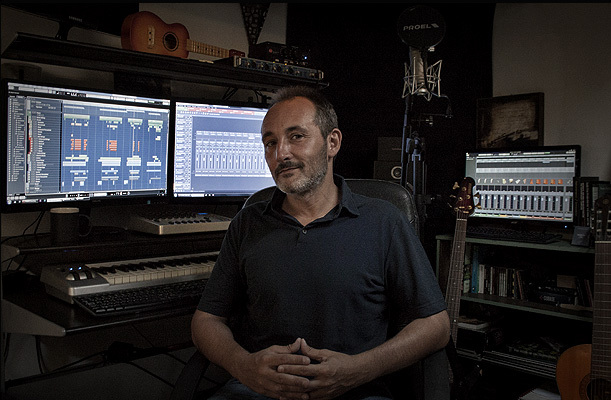 Italian film composer Luca Antonini specializes in contract music production and sound design for the media industry. His musical idiom ranges from the big and epic to the small and intimate, incorporating elements from various cultures around the world, traditional orchestral techniques and contemporary sound design. Over the past ten years Luca has composed and produced original scores for dozens of TV shows, commercials, documentaries, video games and corporate videos, working with directors and producers in Europe and USA. Please use the navigation bar above to access a selection of music, credits and full contact information. Copyright © Luca Antonini 2018 | All Rights Reserved.